The right of J Anna Ludlow to be identified as the Author of the Work has been asserted by her in accordance with the Copyright, Designs and Patents Act 1988. Each page will be listed with appropriate credit or copyright recorded as it applies to that page (unless already linked to its original credit on any given individual page). Any public domain images that appear on the pages will be referred to simply as public domain images with no further links or credits. 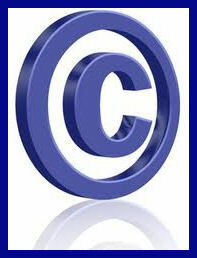 Any original artwork created from public domain images, personal photographs, cuttings or any other source will remain the copyright of the creator of this site. This is a totally non-profit making web-site and any images, quotations or other branded authorship used is purely for enjoyment and as a tool for sharing information. A disclaimer statement is intended to protect the creator of a website, newsletter, contract, book, product, etc. from litigation. You may even see a disclaimer on the window of a fast food restaurant, warning that the coffee is hot. Those who operate a website, release a newsletter, or informational blog use disclaimer statements. A disclaimer outlines the limitations and scope of use for the information on a website or in a newsletter. A legal advice site, for example, may state that the information is not a substitute for consultation with an attorney and the creator is not liable for problems arising from following the advice on the site. The home page will always contain up to the minute images and comments on what is impacting on our lives. Currently the page shows the image of a Telephone Box which is owned by the owner of this web-site and the header contains original artwork based on a public domain image. Images of the Royal Wedding and the Beatification or John Paul II are from the public domain or in certain instances courtesy of the Vatican where relating to John Paul II. Images and articles from the Hucknall Dispatch remain the property of the newspaper. Images from the D-Day Landings and Poster compilation courtesy of the British Legion. Fiona Walker, the Athena Tennis Girl image courtesy of The Guardian, Athena and Stefan Rousseau/PA. The Logos of the Department of Works and Pensions and the Government Crest are in the public domain. The Burns Address - grateful thanks to the World Burns Club. Thanks to the Coombs Moylett Literary Agency for their potted biography of Anne Golon. Thank you to the National Geographic Magazine and the former World Wildlife Fund for the articles and the National Park Service for the images of the Wolverine. Thank you to many sources for the Salem Witchcraft information - etsy.com for documents and compilations, general information from the Massachusetts blog.spot, maps from umkc.edu, the Salem Police for their innovative badges and 17thc.us for historical information and links. Thank you to the Salem Museum for images and informative historical information. Images of Nora Arnezeder on the pages dedicated to the projected remake of the 2012 Angélique are copyrighted to the IMDB and France Soir respectively. With thanks to the Castle Rock Brewery for the Logo of the Poppy and Pint. With thanks to the estate of Cicely Mary Barker for the image of the Poppy Fairy. With thanks to Janet Bell for some of the Lighthouse illustrations. Images of London Transport poster are the copyright of 'Transport for London'. Images of the Villa Tugendhat from the official website, Skyscraper City, David Židlický and the scan of the stamp courtesy of Gerhard Batz (Germany). Images from the Ellis Island Ferry Building courtesy of Save Ellis Island and USA Today. Image of the Alfred Hajos Indoor Pool situated in the Island of Marguerite, Budapest courtesy of Water Polo Legends. The Paintings of the Midland Hotel and Morecambe imagery are the copyright of Lancaster artist Chas Jacobs. The provenance and history of the Carreras Black Cat Factory is based on information available at : Paws On-Line, the Museum of London, Greater London House and Cities of Science. With thanks to the London Traveler and London Travel Tips for the Mornington Crescent Underground images. The Silk Route is a wonderful and rich collection of Art Deco knowledge and is worth a comprehensive visit. Route 66 - style diner used in NCIS courtesy of Four Aces, Jill Odice and Joe Reifer. My grateful thanks for the many and varied instances portraying Portland Stone go to Art Parks International, Not on the High Street, Doc Brown Info, Westland London, for the Cenotaph to the BBC and the Imperial War Museum, Wapedia, The Isle of Portland, The Portland Sculpture and Quarry Trust, the BBC again for the Council House Lions and Nottingham City Council for providing the historical facts. Black Cat Design story featuring Gill Shadwell (daughter of the Black Cat design artist) courtesy of the Bexhill-on-Sea Observer. Thanks to Caroline for the fabulous images of the Daily Express Building in London. Thank you to Roll of Honour for the archive images of the Cenotaph. Thank you to the Marshall Group for the images and story of their pilot Training School (see Aviator page). With thanks to the New York Times and Architecture Daily for articles on the re-opening of the Villa Tugendhat. The Black Cat Factory - aerial images copyright of Britain from Above - newspaper extract from Jacob's Cane (A Jewish Family's Journey) and the local history page is written by Camden Town historians. RIBA - the Royal Institute for British Architects own the copyright to their exhibition images. Manchester History Net provides pictures of bus shelters outside the Black Cat Factory so essential to my personal reminiscences. All images are courtesy of the BIBA founder and owner Barbara Hulanicki. Biography details as shown on Barbara Hulanicki home web-site (link above). With thanks to george.com for the very insightful images of Barbara receiving her OBE. Thanks to kirjasto.sci.fi for the extract concerning the Morris West Trilogy. Thanks to the Royal Pavilion Museums and Libraries for information on the new Biba exhibition and copyright Ron Falloon for the image. Many thanks to Alwyn Turner for many of the images on the Biba/Barbara Hulanicki section. With thanks to Flavored Delights for their astonishing and interesting Beer Flavour Wheel. All Simon's Cat imagery courtesy of Simon Tofield. All Misti imagery courtesy of Douglas d'Enno. All Bertrum Thumbcat imagery and information courtesy of Helen and Cravendale. All Sockington imagery and information courtesy of Jason Scott. All Kliban imagery courtesy of B and J K Kliban. Louis Wains Cats courtesy of the Louis Wain estate. Downing Street Cats courtesy of Downing Street and the public domain. Peugeot cat logos courtesy of Peugeot UK. The Cats Protection Logo is the property of Cats Protection UK. Walking cat borrowed from Bermuda SPA - thank you very much! Bagpuss Pen and ink drawing signed by Peter Firmin Oliver Postgate courtesy of Devon Autographs. Bagpusss imagery courtesy of the late Oliver Postgate. 'How to pet a kitty' copyright of The Oatmeal. All 'Mop and Smiff' imagery copyrighted to Mike Amatt. Lilian Jackson Braun Cartoon courtesy of Thriller Magazine. Images of the Octagon Barn courtesy of Cottage Quilt Designs and the Thumb Octagon Barn Agricultural Museum. 'Domino' - a cat remembered - thanks to Worthington Stone Carving. All scanner art images courtesy of The Cat Scan. Thanks to the Daily Mail, Getty Images and Hubble and Hattie for the article and images featuring Sir Patrick Moore and his felines. Thanks to the Daily Mail for the story and images relating to Mick Jagger and his school cat. All Monopoly Cat images copyright of Hasbro and the Monopoly trademark. Thanks to the Royal Mail and Royal Mint for images of stamps, coins and other associated memorabilia. Picture of 'Wild Target' 1990 Mini used courtesy of IMCDb. Top 10 Greatest Car Designs courtesy of the Mail on Sunday Live Magazine. Thanks to the BBC and Doctor Who for the images of Mini in a corn circle! Thank you to a fellow enthusiast for various posters as featured on Malaysian Mini Lover. Thanks to MK1 Performance Conversions for some super vintage images. Thanks to Top Photo for some top photographic images! Thanks also to AbsloluteMini for their enthusiastic pictures. V ery grateful thanks to Austin Memories for some fabulous images. Love the fact that there is a Mini Official Colours site. Grateful thanks to Car and Classic UK and GC Minis for original Surf Blue Mini images. Many thanks to the Tallest Man web-site for the information on George Gracie. Thanks to Channel 4 for their documentary and pictures of the Mini involved in the Falklands' Most Daring Raid. Images of Torvill and Dean courtesy and copyright of their web-site and images of the awarding of the O.B.E. courtesy of the British Broadcasting Corporation. Chronology recorded by the local branch of the BBC. Thanks to Luke McKernan, the Victoria and Albert Museum and the Daily Mail for information on Wilson Kepple and Betty. Thanks to Lady of the Cake for all the really decent images of 'The Producers' in the Entertainment Section. Thanks to the BFI (British Film Industry) for details of 'Carry on Cleo' and to Tigerx.com for the biography. Thanks to the official Hinge and Bracket Web-site for images of the 'Dear Ladies' and History Vortex for the information on 'The Master'. Thanks to Corbis for the picture of Tom Courtenay as Charley's Aunt. Thanks to the British Broadcasting Corporation for images and information on The Navy Lark and to Flickrhivemind for the image of the Lost at Sea anchor. Images from 'Pirates of the Caribbean' franchise courtesy of Disney. The pink skull Poster featured as part of the St. Trinians package copyright of Create Design. All images of our own telephone kiosk affectionately known as 'El Tel' are copyrighted to J Anna Ludlow.Images of the Telephone Kiosk appearing on the postage stamp used as a logo courtesy and copyright of the Royal Mail. Thanks to the Daily Telegraph for the article on Felix Dennis' garden and Ben Quinton for the photographs. Thanks to the Lancashire Evening Post for the image of the Midland Hotel Management with the missing film. The images following the reconstruction of the Rotunda murals are the copyright of Christopher Holmes Photography. Thanks to the Daily Mail for articles on the Beach Boys Reunion and their use of Getty and Corbis Images. Thanks to the L.A. Times for the Beach Boys Hollywood Bowl story and images. Thanks to the L.A. Dodgers for the images of the Beach Boys singing their National Anthem and You Tube for the videos. Thanks to the Guardian the Independent and the BBC for the Juventus articles. Thanks to Getty Images for the many and varied images they have provided throughout the NCFC section. Thanks to YouTube for the films of the opening ceremony at Juventus and all other instances of use. Thanks to KeepVid for allowing compatible format. The images of Tower Bridge and the Olympic rings courtesy of Getty as they appear in the Daily Mail. Thanks to Michael Miller for his beautiful Eiffel Tower fabric. Thanks to User Logos for the images of the IMDB Logo. With thanks to HBO for all the True Blood images. Thanks to Miguel Covarrubias’ for the Vanity Fair August 1932 issue cover featuring tennis star Helen Wills Moody from the Pop History Dig site. Cartoon images of Andy Murray by Trevillion for Wimbledon 2011 commissioned by the Daily Mail. Thanks to the Daily Mail for the article and images featuring 'That Calendar!' and the pink court at Roland Garros. Thanks to Getty Images for many of the images featured in the tennis sections. Thanks to Associated Press for many of the images featured in the tennis sections. Thanks to Reuters for many of the images featured in the tennis sections. With grateful thanks to the London Transport Museum for many of the images of the posters used throughout and in particular the early part of the 20th century. Thanks to Fred Daniels for the photos and Copyright of The International Association of Margaret Morris Movement for numerous images of the danceuses. With grateful thanks to the Granger Collection, Getty Images and the Topical Press Agency for tennis images featuring Gottfried von Cramm. With thanks to Gem Tennis for the information relating to the Four Musketeers of French Trennis. Thanks to the Federation Cup website for images and narrative relating to the awards and match details. Thanks to gajits.com for their Twitter, Skype, YouTube and Facebook retro imagery. With grateful thanks to Luke McKernan for the 'Wilson Kepple and Betty Story'. Credits will occasionally be placed on specific pages, specific to the content - these credits will not be replicated on this copyright page as they will already have appeared elsewhere. This page is by no means complete and will be added to on a regular basis.